Flaming, people that don't get it, whiners. They have ruined the success of Google+ before. Now Google needs to keep the new focus of Google+ despite the same outcry for a thing that is inevitable and hated: Change. Strong words you'll say. And I don't mean the people that are giving constructive critics, or even help here and there to make it a better service. But there are, every time Google changes the tiniest thing, a whole army of people going berserk because they have no sense of evolution in UI or features. The social aspect... well Google missed that one badly in the past. Simplier and a new focus on topics. It could have changed the Internet completely. It was powerful and could have been the successor of email, social networks (barely there at that time), chat, collaboration, online documents and so on. You know what? It failed miserably. And afterward it was clear why. It did too much. People don't want one thing for everything. That's too abstract. And that was the same problem with Google+. You can't be everything for everyone. Especially in the social network area. Why the heck should people move over to Google+ from Facebook, if all their friends are there? Because they hate Facebook? That isn't a strategy. Google said quite early that it's not a second Facebook and even that it's not a social network. But what is it then? No answers. "A place to share..." stop right there. What makes it different from the hundreds of other places where you share? You see it's complicated. And I can't say what Google would had to do to be the #1 social network (that they said they aren't). If I could do that, I would probably driving around the silicon valley in my Tesla and living from cool aid. Wave at me when you see me ;). The new profile. Mind the position in the left menu. Other things are more important. In everything you do. 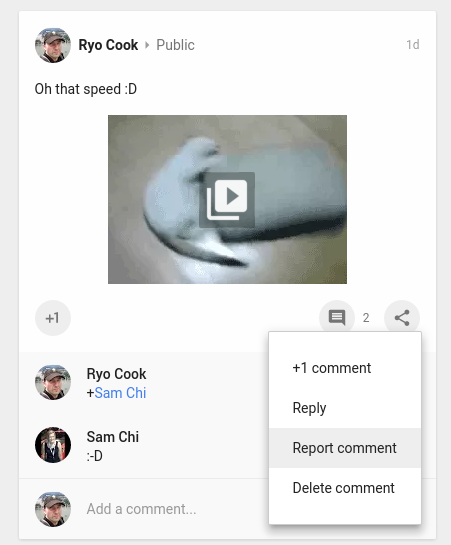 So the new Google+ has a focus. And that is topics. Not people. And that is a brilliant move. If the focus where people, then no doubt Facebook would crush the last drop of life out of it. Nothing can compete in terms of connecting people with Facebook at the moment. But for topics, and discussion about it, Google+ already have its strength. That includes photos. You'll have a powerful platform to show your photos, write news, get info and find interests. Communities and Collections are the most powerful areas. And now it has focus on that by burring the circles and get the other stuff like Hangouts and Google Photos out of the way. It nicely integrates, but not overloads. That's key. You need to have a simple and clear site without having thousands of possibilities and options right in front. Did you recognize that you don't see prominently if someone if following you on their profile right now? Good. Because that should not be of any interests on a topic related network. 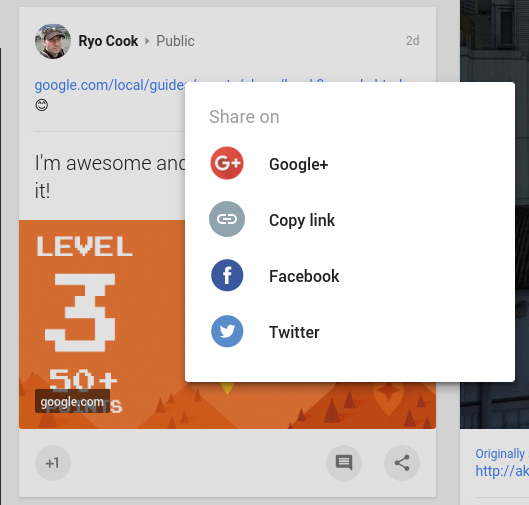 Like it or not, that's the new Google+. And the only other option was to shut Google+ down. Google just made some minor tweaks, while writing this. Nothing big other than the usual fixes. That's okay. I said in my netcasts this week, if Google revert to the old Google+ because of those whiners, I'm out of it. Yes, I would stop using it. Google listens to these whiners too many times and it ruined everything. Listening to people is good. Listening to anyone is bad. I'm using Google+ 80% or so on the web. But I like the new interface very much. Maybe it's not only a thing where you use it, but how you use it. I have only 2 business pages, some communities and, a lot of collections. I'll get that no design can be perfect for everybody. For me it's so much less work. I'll never want to go back to the old design. But people need to recognize it that not everybody can be satisfied, because everyone uses Google+ different. If they can't deal with it, they can look for other places, that fits their needs. That's the strength of the web. There is always another place. 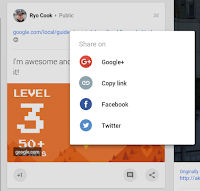 If Google+ would go back too much to the old Google+, I'm out of it like mentioned. The old Google+ is outdated and had no focus. The new one is fast, sharp and focused on topics. Great for me. I'm not going to stir up a rebellion if Google reverts, but I'm leaving. Just like that. But I doubt it's going to happen. Well, it gives another great functionality. Like the share button. It's great to share not only to G+, or to get the link quick without right-click and select copy in a drop down menu from the browser. I'll guess only a few people used it, because they didn't even know they can right-click on the "time" of a post to copy the direct-link. One example. Google+ had a redesign and a new focus. Maybe if Google did this a long time ago, the media wouldn't call it ghost town. The Google+ Wars has just begun.